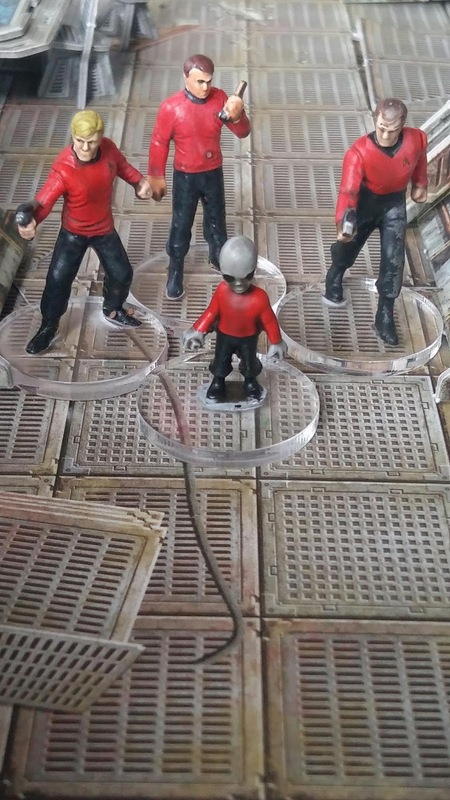 Anyone have a suggestion for "close enough" Star Trek "Red Shirts?" This is for a very, VERY silly Storm troopers versus red shirts kind of game. I need 30 or 40 of these guys. Ideally painted. Toys, clickies, whatever. Clickies for the win! Thanks all. The little grey alien is from CP Models.